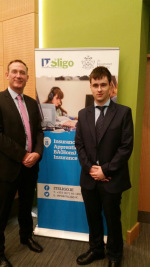 DeCare delighted to be part of the country’s first insurance apprenticeship programme. 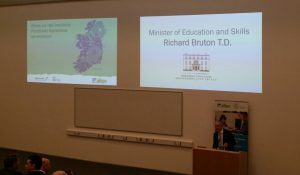 Friday 16th of September, the Minister for Education and Skills, Richard Bruton T.D. introduced the new Insurance Practitioner Apprenticeship, which has been evolved collectively by means of the Industry’s training frame, The Insurance Institute and Institute of Technology, Sligo. The apprenticeship, designed along side the insurance business, equips scholars with the technical talents and trade acumen recognized as very important for these days’s marketplace. Leading to a Level eight honours level award, the Insurance Practitioner Apprenticeship is the first of its type in the nation. 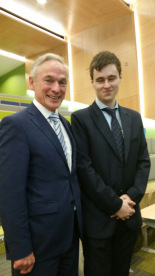 Minister Bruton stated “As our economic system comes out of an excessively tough duration, there are lots of new alternatives in the additional training and coaching sector, together with traineeships and apprenticeships, in addition to in the 3rd stage sector. Dermot Murray, CEO of The Insurance Institute stated: “This is a game-changer for the approach we recruit, increase and retain ability in the insurance sector. The programme is growing a countrywide usual for training and competencies in the business and it is going far against fixing the issues firms are going through due to talents shortages. Jason Walmsley joins the DeCare Team as part of the Insurance practitioner apprenticeship. DeCare are excited to be Pioneering this programme as the first corporate in Co Mayo. 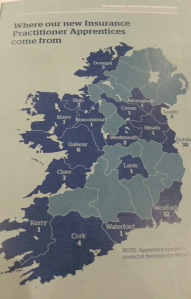 Related Post "DeCare delighted to be part of the country’s first insurance apprenticeship programme."